Freemake Video Converter has been widely used for all kinds of formats conversion in Windows. In Google, forums, Facebook, Twitter, other social networks, Freemake Video Converter has been so popular that many users want to find alternatives to Freemake Video Converter for Mac. What is Freemake Video Converter then? Freemake Video Converter is a great video converter which can be used to convert videos and other media files to popular video formats such as AVI, MP4, WMV, 3GP, DVD, MP3 etc. And it is quite popular mainly because it is fast, efficient and really simple to use, which offers us a powerful set of tools to convert videos and DVD movies between different formats. However, there is only Windows version but no Free Video Converter for Mac at all. It is quite necessary for Mac users to find alternatives to Freemake Video Converter for Mac so as to convert videos and DVD movies as convenient as possible. 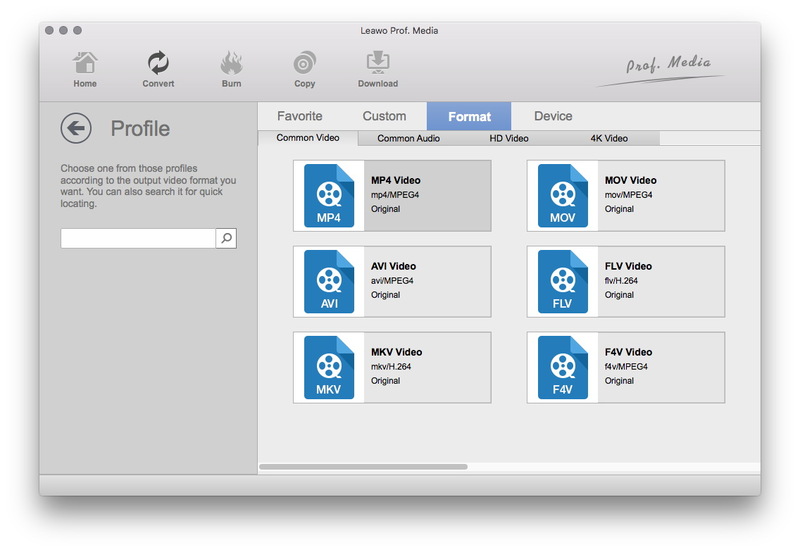 And top five Freemake Video Converter for Mac alternatives will be listed here for help. 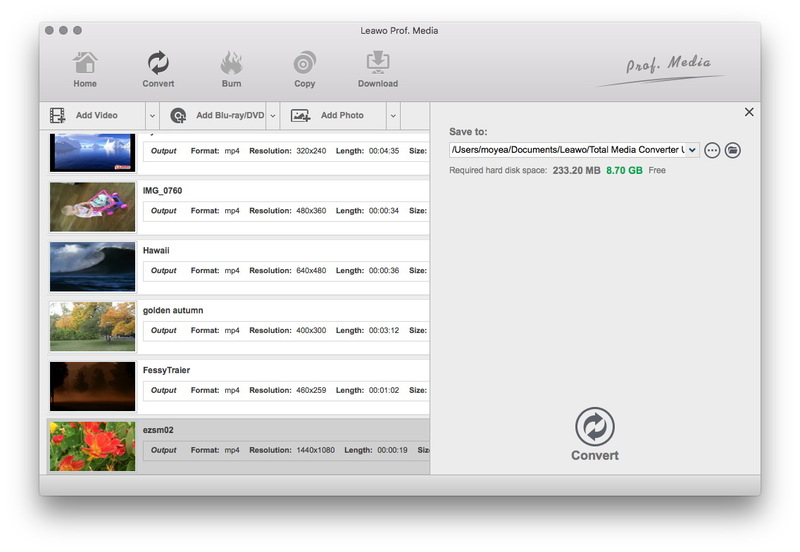 Leawo Video Converter for Mac, as one of the best powerful and professional alternatives to Freemake Video Converter for Mac, can help you convert video and audio files on Mac in more than 180 formats. 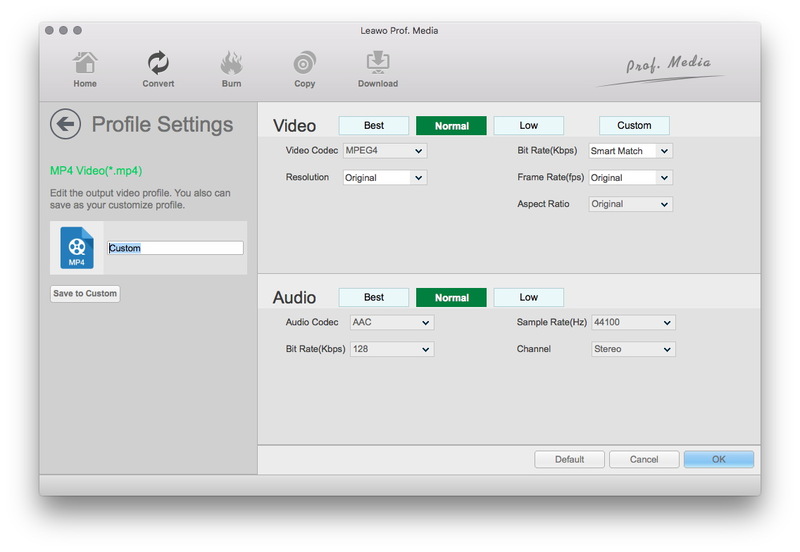 Leawo Video Converter for Mac supports a variety of video files input and output including MP4, AVI, MOV, MKV, MTS, FLV, etc., and audio files like MP3, AAC, FLAC, AC3, etc. Besides, it supports HD Video like HD MP4, HD AVI, HD TS, HD VOB, etc., and 4K Video conversion as well. Working in fast speed and keeping 100% original quality, it will be the best alternatives to Freemake Video Converter for Mac. Except for these functions, it is quite easy for users to convert video on Mac with best Freemake Video Converter for Mac Alternative. And here comes the way. Simply speaking, Handbrake is a versatile, free and open source tool for Mac which can be used to manage your video library and convert videos from nearly any format to the common formats like MP4, MKV etc. Besides, it works fast and is quite simple to use so that the beginners and advanced users can both get the point. It would be one of the best alternatives to Freemake Video Converter for Mac to convert videos. Free Video Converter for Mac is a free video converting program for Mac OS, which can help users to convert almost all the common video or audio formats to another or to the portable devices. 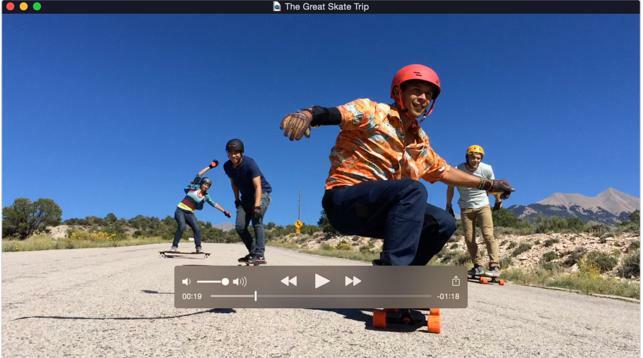 Besides, Free Video Converter for Mac offers you the ability to make videos and movies. 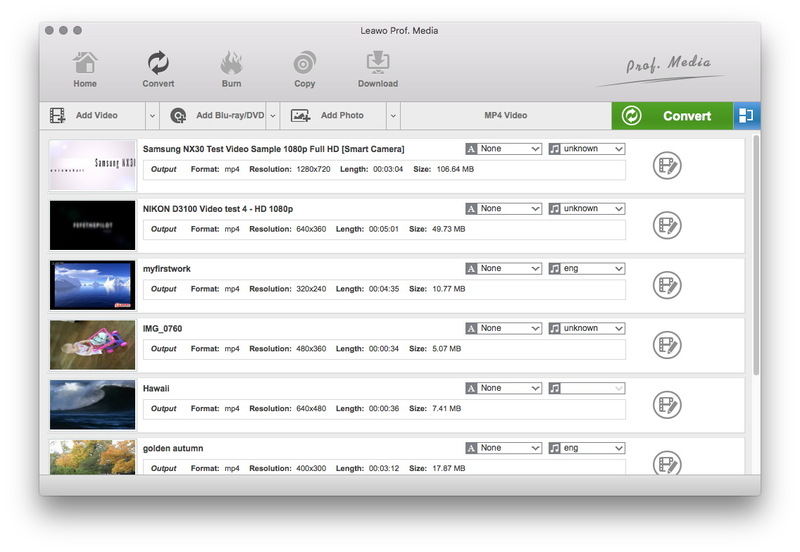 As one of Freemake Video Converter for Mac alternatives, KeepVid Pro is a multifunctional converter software which is able to convert videos to more than 100 formats for moblie devices like iPhone, android Phone and various multimedia devices you want. It’s a powerful free conversion tool you may need to convert video on Mac with best Freemake Video Converter for Mac Alternative. 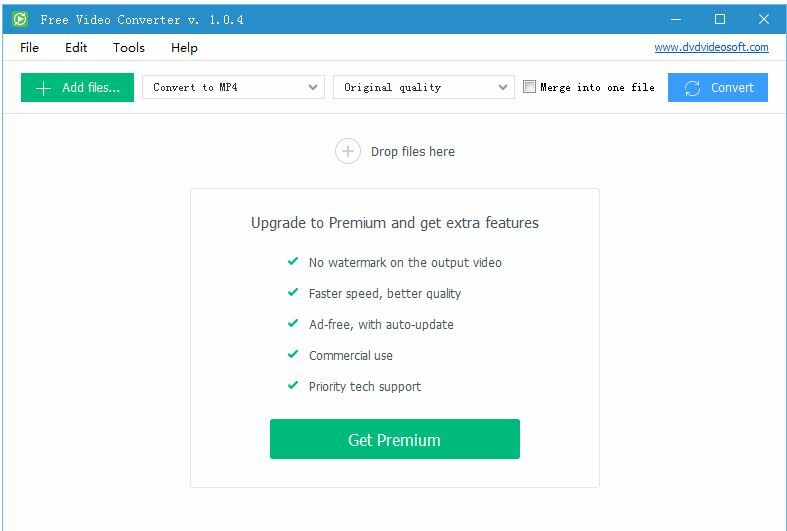 The last MediaCoder Alternative for Mac I want to recommend to you is Any Video Converter, a powerful and easy-to-use video converter which supports all the major formats and has faster speed than traditional converter. Besides video conversion, Any Video Converter can also do any other jobs such as downloading 4K videos and burning DVD files. As a MediaCoder Alternative for Mac, Any Video Converter is capable of almost all the jobs that MediaCoder can do. After you download this video converter for Mac, you install it and launch it, then you can start to convert videos to any other formats you like. The guide is below. You can browse and load source video and/audio files into this Mac video converter by clicking the “Add Video” button, or directly dragging the source video/audio files into this program. Open the drop-down box beside the “Convert” button to choose “Change” button, then you will go to the panel where you can choose the output format you prefer. 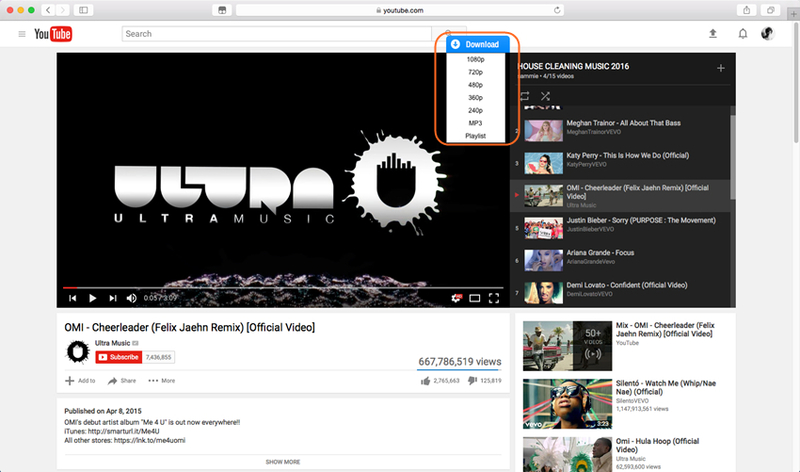 As the format selected, back to the main panel and open the drop-down box again, select “Edit” to enter the panel for setting video/audio parameters. Return to the main interface after parameters’ setting and then click the big green “Convert” button to pop up the output directory setting panel. You are required to set output directory in the “Save to” box there. Click the “Convert” button at the bottom of the sidebar to start converting video/audio files on Mac within this Mac video converter software, and you will get the converted files in minutes. Besides, there are also other great functions like converting 2D to 3D and editing the video or audio files with this Freemake Video Converter for Mac to convert videos on Mac. And you will find it necessary for your Mac anyway. To be concluded, the top five Freemake Video Converter for Mac alternatives listed here can give you great help so that you can choose anyone you like to convert video on Mac. And the last one would be strongly recommended as the best Freemake Video Converter for Mac Alternative with its powerful features. Just feel free to use it whenever there is a need.